← The Goldfinches are back! This week we visited with friends from Boone, Asheville, and Durham, NC at the Colleton River Plantation home of mutual friends from Boone. This annual retreat has become a regular event in our lives since we moved to Sun City-Hilton Head, and this year’s edition was another satisfying hit. We chose a book to discuss during our retreat, “A Religion of One’s Own” by Thomas Moore. We read the book before gathering in Colleton Plantation and Billie and I led the discussion during two morning sessions. We think the experience was appreciated by all, and the discussion seemed to focus our thoughts on trying to identify spiritual persons (not necessarily religious persons) in our lives. Give that a try–it’s not so straight-forward as it seems! 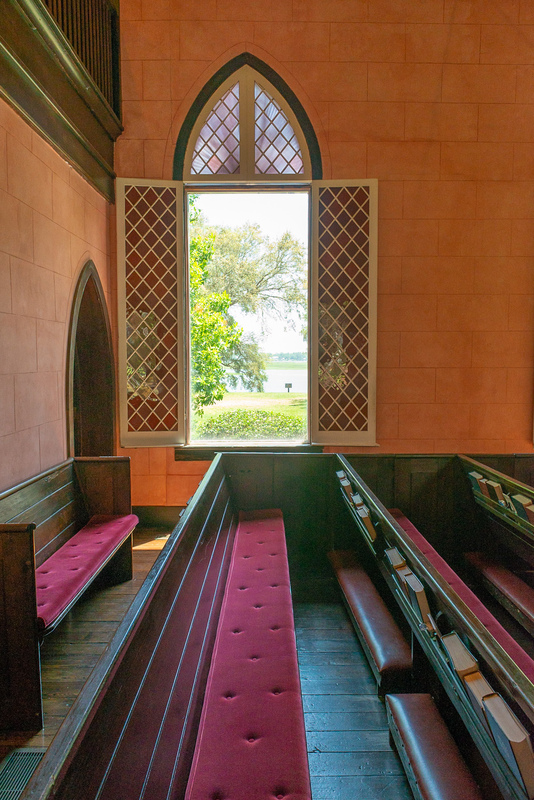 We went on a field trip to Old-Town Bluffton where we toured the Church of the Cross with the assistance of Allan Strange, a docent on duty there. 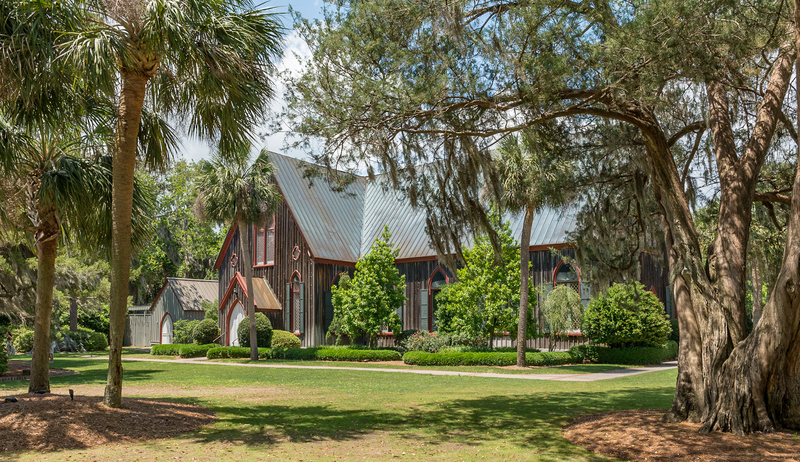 This church is an historic Episcopal Church on Calhoun Street in Bluffton, SC. 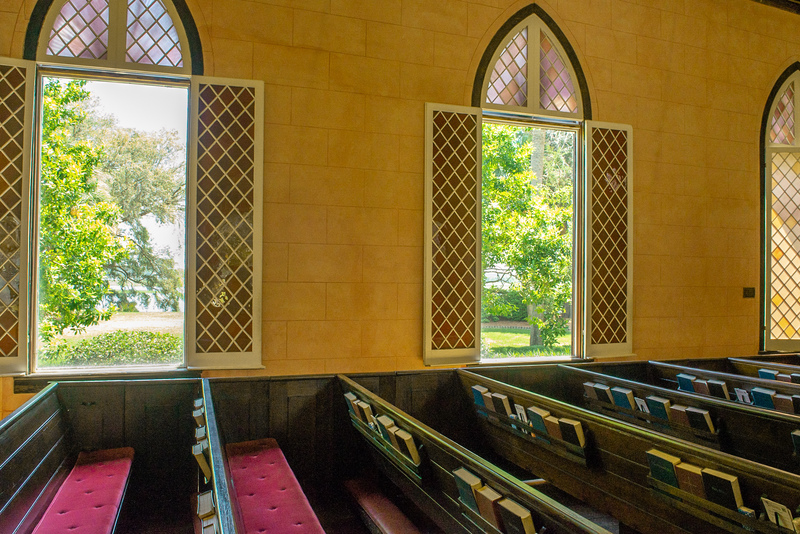 It was built in 1857 and added to the National Register in 1975. 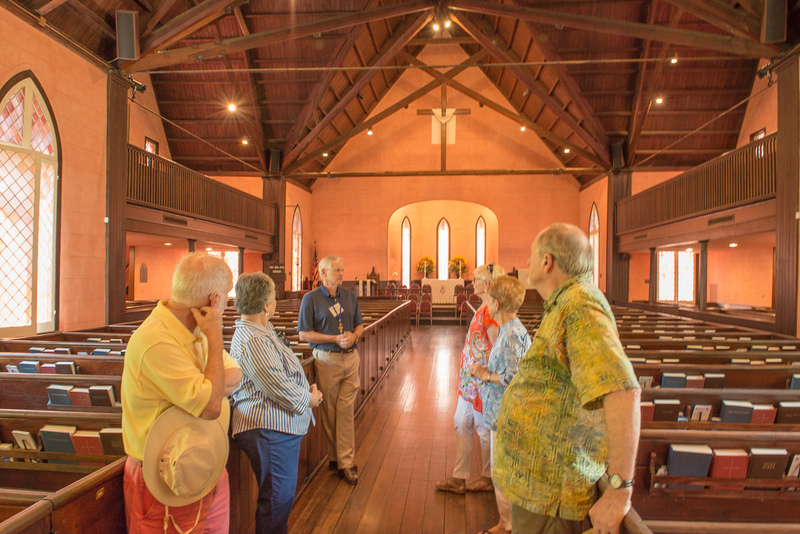 Our friends Ralph McCoy, Nancy Spann, Billie Rhyne, Emily McCoy and Bunk Spann listen attentively to our docent Allan Strange as we hear the story of this historical treasure. This entry was posted in Commentary, Travel Photography. Bookmark the permalink.